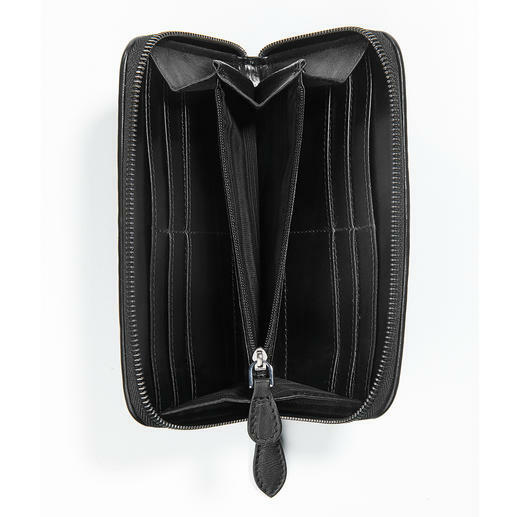 Similar luxurious purses are often much more expensive, yet often also come from Fontanelli. 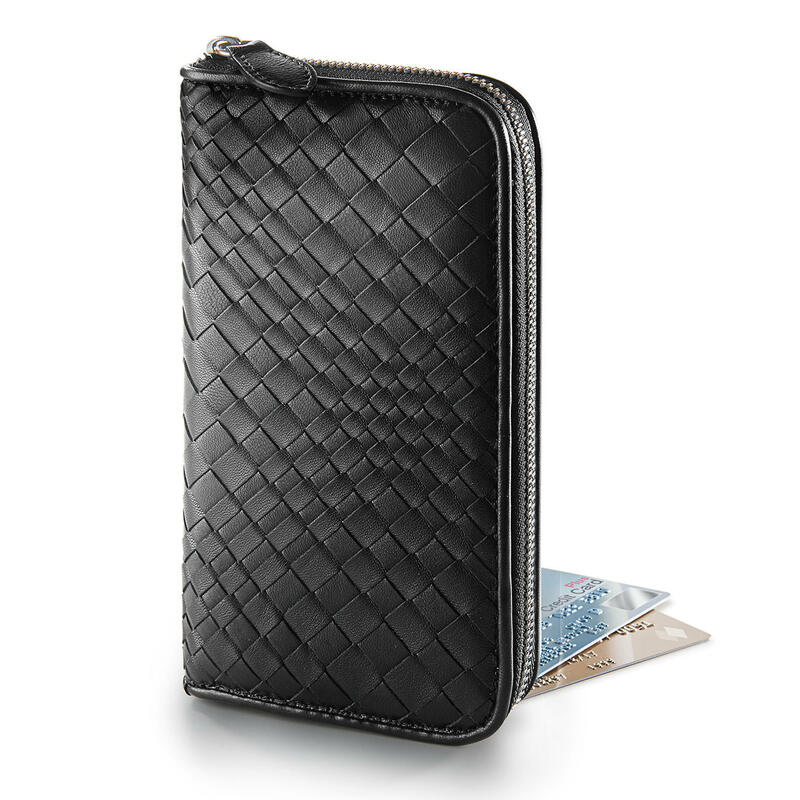 No matter how fashions change: This wallet goes with everything. Hand-braided and hand-sewn. Made of wonderfully smooth lambskin nappa leather. Fine leather strips – individually cut by hand and woven into an astonishing three-dimensional pattern. Even the zip fastener is sewn in by hand. The roots of the established bagmaker’s business date back to the year 1860. Some of the noblest labels in Italy have commissioned the brothers Remigio and Corrade Fontanelli to manufacture on their behalf – and offer their accessories for sale at much higher prices. It accompanies you to the office, to the city, on holiday, ... 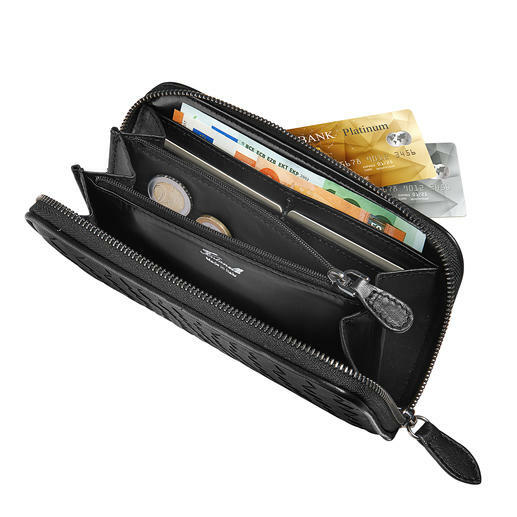 Inside zipped coin section, 2 note compartments, 8 slits for credit cards and 2 large compartments. Size 19.5 x 11 x 2.5cm (7.7" x 4.3"x 1"). Colour: Black. 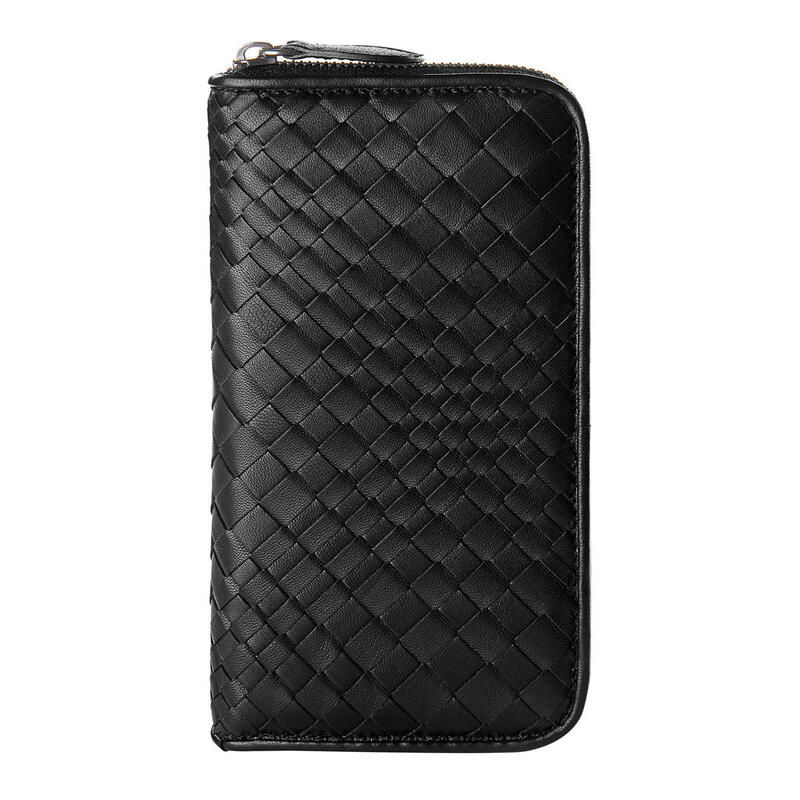 Real lambskin nappa leather (wipeable). Lining 70% polyurethane, 30% viscose.